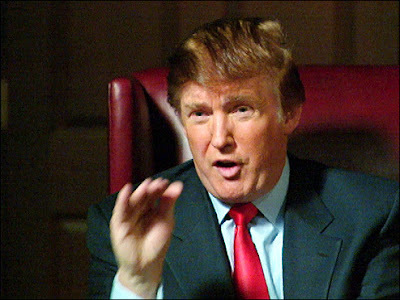 Trump: The Apprentice Gets One More Chance! NBC and executive producer Mark Burnett will bring Donald Trump’s reality TV show “The Apprentice” back from the brink of cancellation for at least one more season, according to Reuters. “The Apprentice,” which turned Trump into a television star and popularized his catch-phrase “You’re fired,” was sliding in the ratings and appeared headed for oblivion when it was omitted from the 2007-8 prime-time programming schedule NBC unveiled in mid-May.”The Apprentice” debuted in 2004 as a hit show featuring young, aggressive entrepreneurs competing in a weekly game of elimination for a real-life job in Trump’s business empire.But the series steadily declined in the ratings in successive years, losing nearly two-thirds of its original audience by the time it wrapped up its sixth installment in April.If the current option on a renewal for a seventh season were to expire without a deal, producers would be free to shop the series to another network, and Trump has said “numerous networks” have expressed an interest in picking up the show. I Wonder How Much He Had to Pay For The Star?